Kpop Singers' Burglary: Is it Clever or Cowardly? Have you heard about Kpop singers' 'burglary'? Oh, I hope you don't misunderstand me, I'm not talking about a real crime. 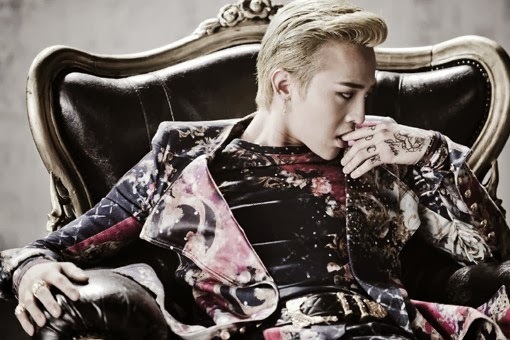 Big Bang's G-Dragon commented about Kpop singers' 'burglary' in his song. Including new singers and big time singers, countless Kpop singers release their albums throughout the year. And the release date is as important as the perfection of the album because it determines the list of matches. It has a decisive effect on album sales and music show ranking. Naturally, most of Kpop singers want to pick on weaker competitors, and avoid tough opponents. Kpop fans are divided over the issue. Some insist that Kpop singer's burglary is cowardice action, but others think that it is a clever marketing strategy. Well, what do you think of it? I'm sure you've listened to G-Dragon's hit 'One of a Kind'. Parts of the lyrics rapped by GD include "
벌써 2집 나는 안 털어 빈집 내 랩은 그녈 침실로 데려가 눕히지 I’m busy." Yes, he commented about the issue, expressing self-confidence as a top Kpop star.